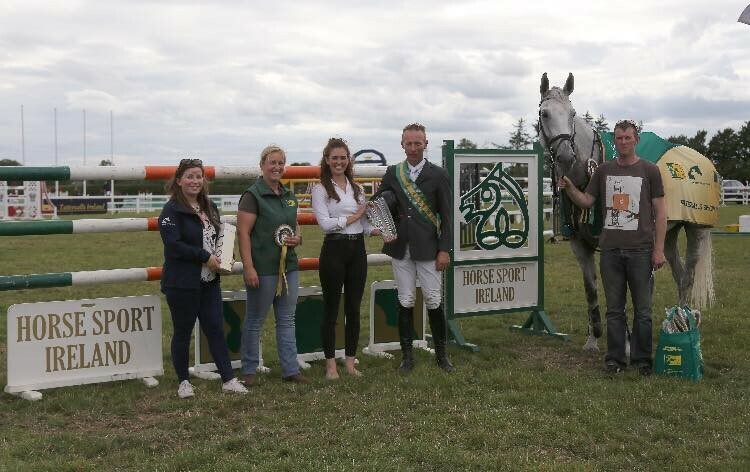 Co Down’s Dermott Lennon has won yesterday’s (Sunday) fifth round of the TRM/Horse Sport Ireland New Heights Champions Series at Tattersalls Show in Co Meath. Riding Victoria Loane’s 12-year-old gelding Gelvins Touch, Lennon produced the only double clear round of the competition to take the winners prize. League leader Greg Broderick finished as runner-up aboard BP Hybernia with the fastest 4 fault round of the jump-off (44.61), while Peter Smyth came home in third with CHS Krooze (46.41). Fourth place went to Gemma Phelan (GRC Acapella) ahead of Darragh Ryan (Rincoola Ryan) in fifth and Capt. Geoff Curran (Dollanstown) in sixth. The leading young rider prize went to Tim McDonagh. The next round of the TRM/Horse Sport Ireland New Heights Champions Series takes place at Maryville in Co Cork on Sunday July 29th.